It seems like every week, my daughter finds a new favorite book. When she finds that book, she reads it over and over again and even has to sleep with it on her bed. She loves books that make her laugh. She is a big fan of the Mo Willems books. That silly pigeon cracks her up, but her favorite of all of them is ‘ The Pigeon Needs a Bath’ She giggles all the way through. We wanted to do a fun little activity to go along with our favorite story of the moment. The pigeon is a very simple character to make. It is just a few simple shapes to make it. You can choose to make your own pigeon or cut out a picture from a printout. We placed our shapes into place and then covered the figure in self-laminating sheets. We used washable markers to dirty up our pigeon. I gave her a sponge, a little bit of water and a towel and let her wash and dry her pigeon. She must have done this about 5 or 6 times. She just kept getting the pigeon dirty and cleaning him back up again. 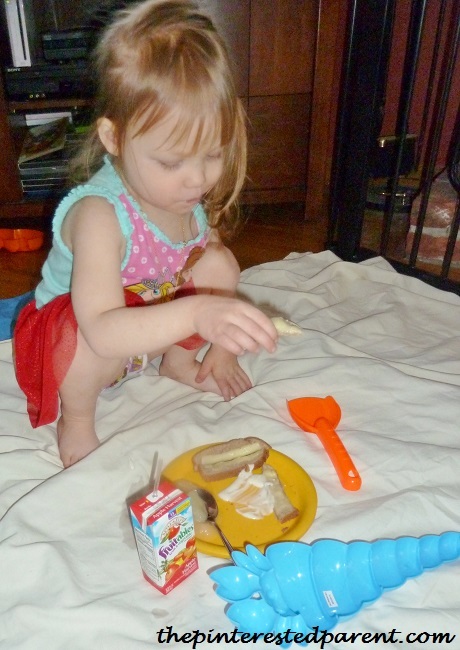 It is easy to say that she had fun with this activity. It made the perfect companion to the book. 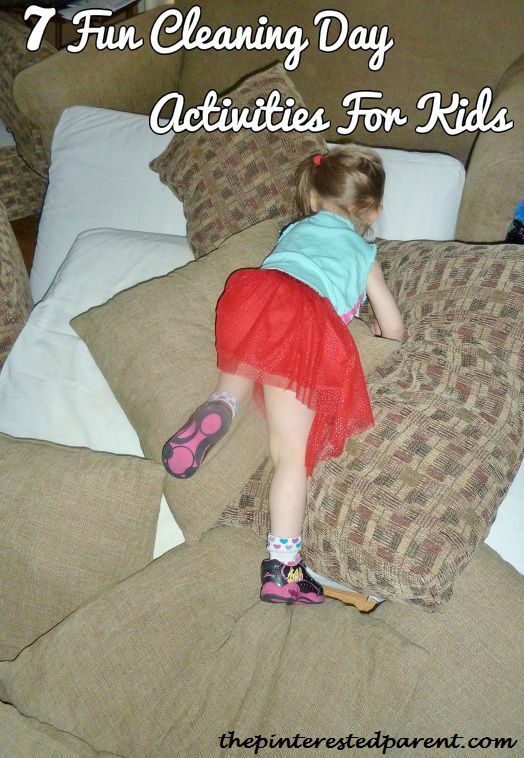 When you have a toddler, cleaning your home is not always the easiest thing to do. Having an only child, I am in charge of my daughter’s entertainment, so when I am busy, she wants my attention. Today our house needed a good cleaning, but Mai wanted to play. On Cleaning Day, there is a lot of potential for fun. 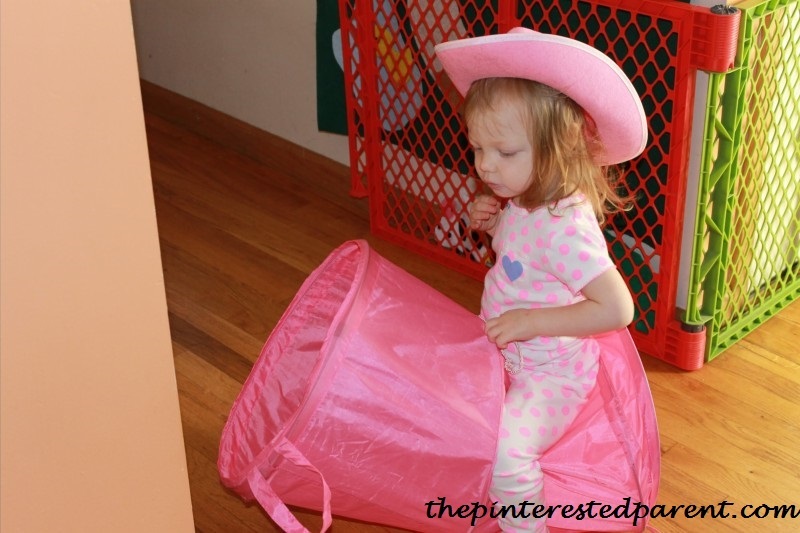 Here are some fun activities for your kiddos while you clean. 1. Cushion Mountain- Is it time to clean your sofa cushion covers? 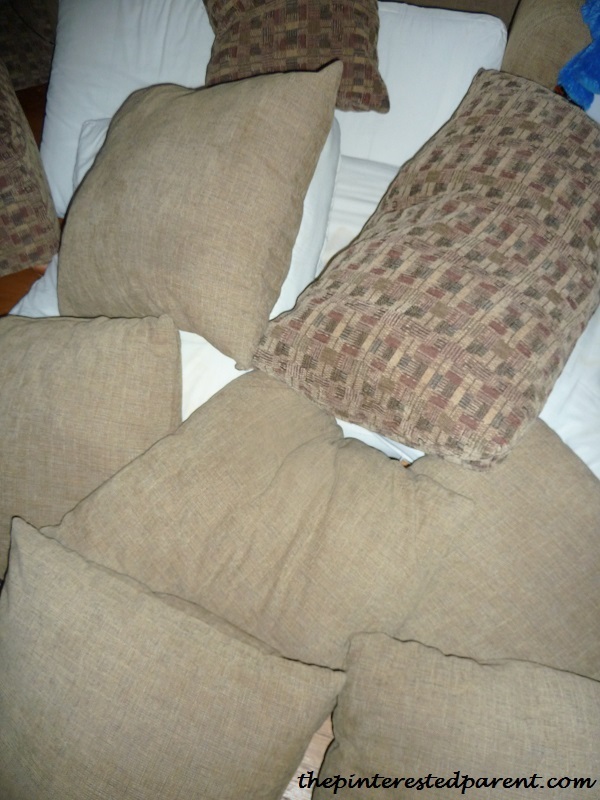 While they are in the washer, pile up your cushions in a safe, clear area & let them have some fun. 2. Let Them Help Out- We may not like our chores, but give a kid a broom and they are tickled pink. 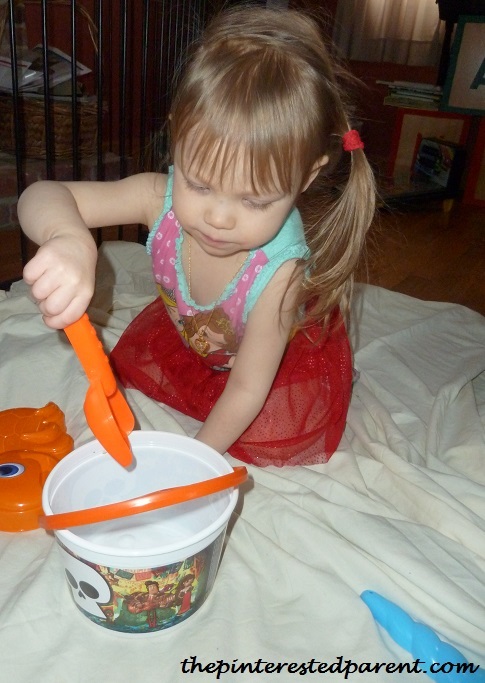 There are many chores your child can help you with, sweeping, dishes or wiping down tables. 3. 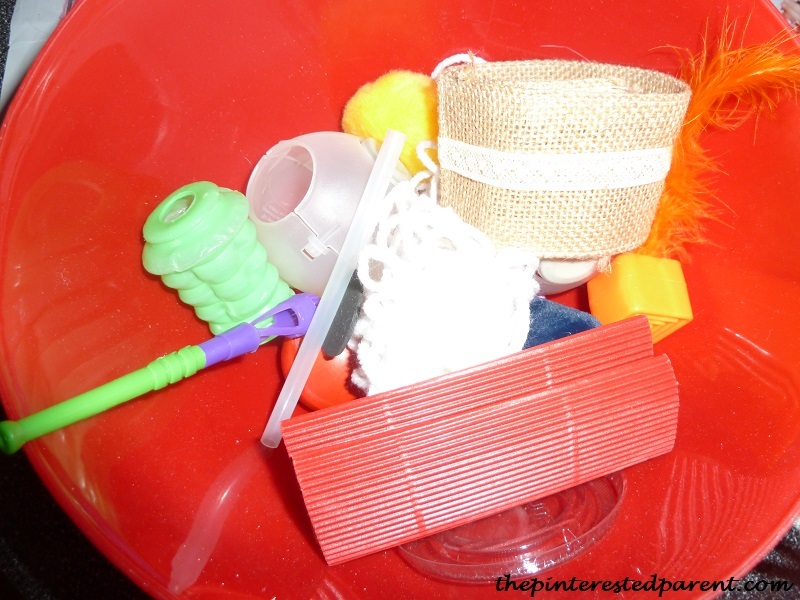 Loose Parts Play- Cleaning out a junk drawer or throwing out other odds & ends around the house? Give them to your child to play with, provided that they are clean & safe. Playing with loose parts is a fabulous way for a child to work their imaginations. 4. Sheet Forts- Are you stripping your bed to make way for clean sheets? Use your dirty sheets to make a monster sheet fort. 6. Obstacle Course- If you clean the house anything like me, you tear it apart & trash it before you put it back together. With all the moved tables & chairs, cushions & laundry baskets lying around, it is a great opportunity to build an obstacle course. 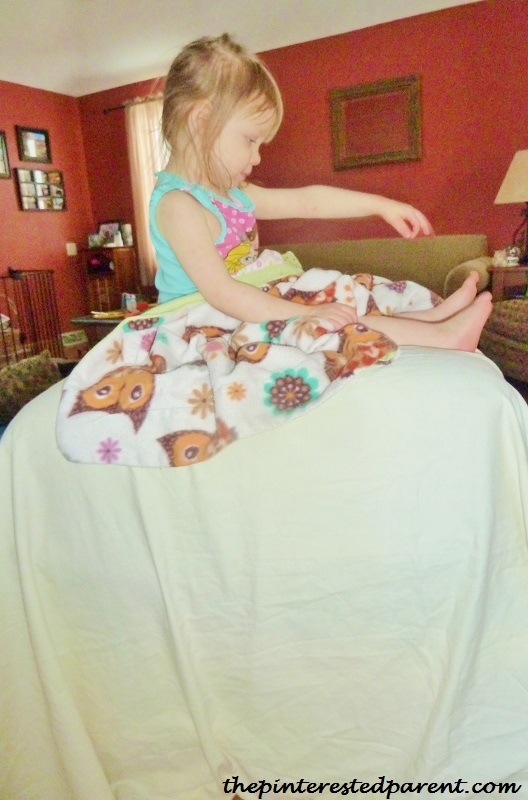 Climb over the ottoman, jump over a broom, crawl under the play table and climb your cushion mountain to victory. 7. Imaginary Beach- Before you throw those sheets and blankets in the washing machine, lay them down on the floor for some imagination play. We placed a blanket down for our water & a sheet for our sand. We broke out a few shovels & beach toys and our daughter’s mind did the rest. Lunchtime? Let them have a beach picnic. You don’t need to wait for cleaning day to enjoy these activities. These are fun on any day. I have to admit that I stopped cleaning to join in on some of the fun too. Before we put our couches back together, we let our princess do one more thing. 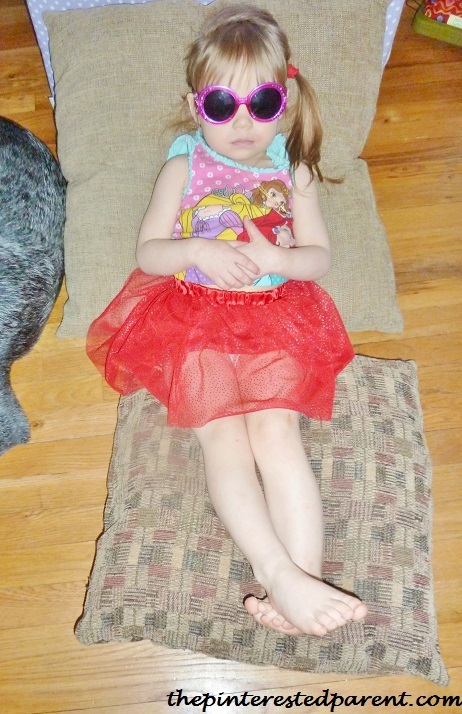 The princess did not feel the pea on her royal bed, but then again I had just swept the floor. Happy cleaning.